Some years ago when I was visiting the Ardeche region of France I was thrilled to be able to visit a Lavender distillery. It was set in the midst of acres of fields of Lavender which was the most beautiful sight, as the Lavender was in full bloom. The colours have to be seen to be believed – the loveliest shades of deep purple. It was by no means a new distillery; rather the Lavender was distilled using time-honoured methods The equipment was laid out before us, and it was fascinating to see the process of how the Lavender flowers were distilled and became Lavender oil. The fragrance was intoxicating! How is Lavender Essential Oil Used? Lavender Essential Oil is by far my favourite of the essential oils, It has so many uses and benefits, both as a remedy for ailments and as a remedy for skin care. I always have a small bottle of it with me wherever I go, as it has so many uses for immediate first aid. I will set out as many of its uses as I can here to illustrate the answer to the question “How is Lavender Essential Oil Used?”, and I have no doubt that you will be able to find other uses! If so, I do hope that you will share those with us in the Comments box below. How is Lavender Essential Oil Used for the treatment of Cuts, Wounds, Bruises, Sprains, Burns and Headaches? I have written in depth about the uses of Lavender Essential Oil for these ailments, and you read more about that here. When you try using it for any of those things, you will probably be surprised at how effective it is! Lavender has anti-bacterial and anti-viral properties, so it is most effective for cleansing cuts and wounds, and will also help wounds to heal without leaving a scar. Lavender can also help to ease Sunburn. Add several drops of Lavender to a fairly cool bath, together with some baking soda, and soak in it for a while. The combination of lavender and baking soda will help to draw out the heat of the sunburn from your body. You can also make a cooling solution to spray on your sunburn by mixing together about 2 fluid ones of cooled green tea with 12 drops of Lavender Essential Oil and two fluid ounces of Aloe Vera Juice in a spray bottle and shaking well. You can then spray it over the sunburnt parts of your body frequently, then keep it in a refrigerator between uses. Take great care to keep it away from your eyes. The solution will then keep up for to two weeks. Lavender is great at helping you to relax, so it is really useful in helping to relieve Stress and Insomnia. It has been found that Lavender can increase the brain waves which are associated with relaxation. It is particularly important to avoid stress with certain medical conditions, such as high blood pressure and diabetes, and here too Lavender can help you to achieve that important relaxation. A great way to sooth away the stress and anxiety of the day and to have a good night’s sleep is to add a few drops of Lavender Essenrial Oil to a hot bath before you go to bed. I find this so effective that I frequently find that I am almost falling asleep in the bath before I have had time to get into bed!! A hot bath with Lavender oil added is also extremely effective at soothing aching muscles and joints, and the addition of Epsom salts will add to its effectiveness. If you should still have trouble getting to sleep, or if you do not have the time for a bath, sprinkle a few drops of the oil onto your pillow before going to sleep, taking care not to put it where it may come into contact with your eyes. I often used to put one or two drops on to the back of my children’s pyjamas to help them to sleep when they were wakeful. Obviously you would use less for a child than for an adult. Another way to use Lavender as a relaxant is to use an oil diffuser when you are relaxing in the evening. Fill the top of the burner with water and add a few drops of the oil to the water. Then place a lit tealight candle or nightlight at the bottom of the diffuser. I would not advise using this kind of diffuser in the bedroom, but it would be great in the living areas of your house, and also in the bathroom. Electric Diffusers are also available, and these are quite safe to use anywhere in the house, even in the Nursery. 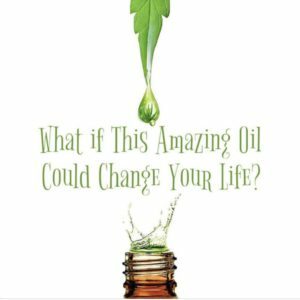 You can use any Essential Oil you choose in a diffuser. You could also use a Lavender scented candle in the living room, then you would have a relaxed family!! There have been studies which have shown that Alzheimer’s sufferers can be helped by breathing in the vapours from Lavender Oil used in a diffuser. Lavender can relieve the stress of Alzheimer’s, and the properties in the oil help with the supporting of brain function and the reduction of cognitive impairment. It has long been known that Lavender does indeed support brain function. How Is Lavender Essential Oil Used To Help With Diabetes? Amazingly, tests have shown Lavender Essential Oil can be effective in the treatment of Diabetes, and it is possible that it may be able to reverse it. Although this research is still in its infancy, you have absolutely nothing to lose by using Lavender to treat Diabetes, as it will certainly not harm you. 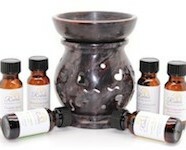 You can use it in a diffuser as described above, or it can be applied directly to the skin of your chest and neck. I you prefer, you can take it as a dietary supplement. With its anti-bacterial, antiseptic and anti=inflammatory properties The use of Lavender really can help with the problem of hair loss. Massage it into the scalp at least twice a day and it will help to restore the hair’s natural oils and growth. This is not a quick process, but if you persist over the months you should see a result. 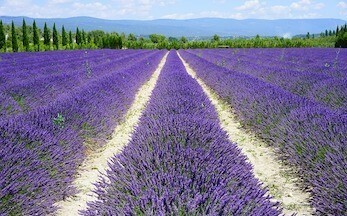 How Is Lavender Essential Oil Used In Aromatherapy. Aromatherapists very frequently use Lavender in the form of a therapeutic massage, but you can do this at home too. Even better, ask someone else to give you a massage! Almond Oil, Grapeseed Oil or Jojoba Oil can be used as a Carrier. When your Massage mix is ready, then relax and massage it into whichever part of your body you wish. If someone is doing your massage for you, then you are completely free to relax completely. Massage does not need to be gentle, but nor should it be too rough, nor should it be hurried. Massaging with Lavender will ensure that the healing, relaxing and pain-relieving properties of Lavender reach any part of your body you wish. Lavender Has So Many Other Uses Too. It would be impossible to list all the uses for Lavender right here and now, but I hope to be discussing many other uses for Lavender and other Natural Remedies in the future, so please do watch this space! If you would like to purchase Lavender Essential Oil or any other product which I have mentioned in the course of this article, please click on the Products listed below. The following products are available for you if you are in the US. The following Products are available for you if you are in the UK. I do hope that you have found this information useful, and that it will help you, and that you now understand about how is Lavender essential oil of benefit in so many situations. I am a 49-year-old man. 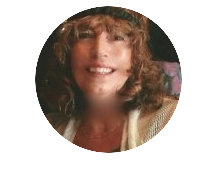 My Parkinson’s disease appeared at the age of 47. My symptoms, at the beginning, were fine tremors and rigidity with joint stiffness. My neurologist prescribed entacapone with levodopa, carbidopa, and pramipexole. I opted not to go on prescription medicines but decided on using herbs instead, October 18, 2017 after being on the herbs you recommended, i had a total recovery from Parkinson’s disease with this natural herbal formula treatment. The tremors, Shaking, Joint Stiffness has subsided. When I stumbled upon you guys, it was just pure instinct. And from that day on it has been one of the best decisions I’ve made in my life. and if you can avoid conventional drugs that can only be better for you. I wish you a bright future free from all symptoms. Very many thanks for your inspiring comment. Chrissie, what a beautiful site you made! And this post comes close to my heart since lavender oil is one of my favorite natural oils. It has so many benefits… ! One of them soothing burn marks and muscle pain. .. Thank you for sharing your knowledge. Thank you so very much Fleeky. I am really happy that you like Lavender oil as much as I do. You are so right, it has so many uses, and I am always finding more!